Once your child is registered at school, you are legally responsible for making sure that they attend regularly. If your child fails to do so, you risk a Fixed Penalty Notice or prosecution. You also need to think about the negative impact this will have upon your child’s learning, friendships, self-esteem and self-confidence. As you know, attendance and attainment are very closely linked. At Front Lawn Primary, we are very grateful for all the support we receive from parents and carers who ensure that their children attend school regularly and punctually. This allows teachers the best possible opportunity to support our pupils to reach their full potential. The Ofsted expected minimum attendance rate for primary school children is 96%. 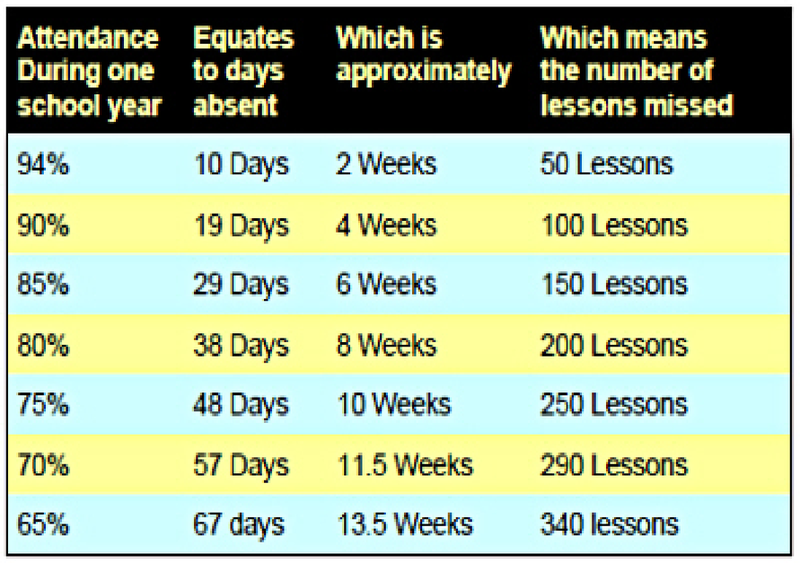 If pupils have more than 7days absence from school during the academic year they will not be able to achieve this. We have a strong expectation at Front Lawn Primary Academy that our pupils aim for 100% attendance so that they have access to all learning opportunities and most of our pupils have excellent attendance and punctuality. This term we have introduced a new termly ‘Traffic Light’ system as a way of monitoring attendance at school. At the end of each term we will be sending out attendance letters on coloured paper to celebrate good attendance levels and to highlight any areas of concern. The minimum attendance level expected by us in school is 96%. These letters will be issued each term and detail your child's current attendance. Letters are colour coded to match our attendance traffic lights. GOLD CERTIFICATE = 100% Attendance, Fantastic!!! Green Letter = 96% attendance and above. Best chances of success, Good. Amber Letter = 90% to 95% attendance. NEED FOR SOME IMPROVEMENT. Attendance will be monitored weekly. Red Letter = 89% and below. Poor with serious concern. DANGER ZONE PERSISTENT ABSENTEE. Panel meetings will be called to address issues and provide support to improve. Although these letters will be issued termly, we will be closely monitoring every child’s attendance on a weekly basis. If your child’s attendance has dipped we may invite you for a meeting. card. Where possible make medical / dental appointments outside of school hours or in the holidays. Medical evidence is required for every absence; if this is not provided by the parent/carer, the absence may be treated as unauthorised. For data protection reasons school staff are not able to contact doctor’s surgeries directly. Letters are sent home whenever no reason has been provided for an absence. If there is no response to this, the absence will be recorded as unauthorised. The Education (Pupil Registration) (England) Regulations 2006 were amended in September 2013 to state that Headteachers may not grant any leave of absence during term time, except in very exceptional circumstances. Any holidays that are taken without this agreement will be recorded as unauthorised. 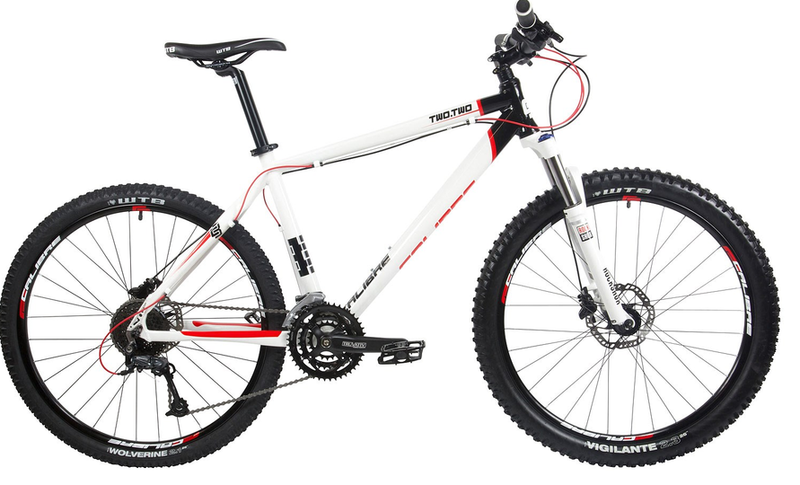 COMPETITION - WIN A BIKE! In an attempt to motivate pupils to increase their attendance we have decided to run an ATTENDANCE INCENTIVE. We will be giving all those children with an attendance of 98% and above the opportunity to be entered into a draw. This is our opportunity to reward their effort and determination at the end of the school year for a chance to WIN A BICYCLE ! At the end of the school academic year every child with 98% and above attendance will receive a Raffle Ticket. One boy and one girl from both the Upper and the Lower school will be awarded a BICYCLE. WE HAVE 4 BIKES TO WIN. WILL YOUR CHILD BE THE LUCKY ONE? If you require any support or advice with attendance and punctuality, please contact the main office to arrange an appointment to see Mrs Beynon or a member of the Wellbeing Team.